In a development that is highly significant for Roto-Gro International Ltd’s (ASX:RGI) plans to establish itself as a global leader in the cultivation of lawful cannabis and perishable foods, Health Canada has approved the conversion of the dealer’s licence held by Supra THC Services Inc from the Narcotic Control Regulations of the Controlled Drugs and Substances Act (Canada) to the recently enacted Cannabis Act (Canada) and Cannabis Regulations (Canada). This is part of the definitive share purchase agreement (SPA) executed in October 2018 between Roto-Gro International and Valens GroWorks Corp.(CSE:VGW) to acquire all of the issued and outstanding shares in the capital stock of Supra THC Services Inc.
Health Canada’s ruling allows Roto-Gro International to pursue its intentions of building a 44,000 square feet growing facility with the endgame being establishing offtake agreements and benefiting from downstream value-added products and services. Supra THC is a wholly-owned subsidiary of Valens, a Canadian publicly-listed company located in British Columbia, Canada which specialises in the processing of cannabis into pure extracts and oils. To date, Supra THC has operated its business pursuant to a Dealer’s Licence issued by Health Canada in accordance with the Narcotic Control Regulations of the Controlled Drugs and Substances Act (Canada). Supra THC’s Dealer’s Licence permits the possession of cannabis and related active ingredients, in addition to the production of extracts for the purpose of analysis. The company engaged CCI to coordinate the licence conversion to the Cannabis Act (Canada), which is now complete. Dealer’s Licences were previously issued by Health Canada pursuant to the Narcotic Control Regulations of the Controlled Drugs and Substances Act (Canada). 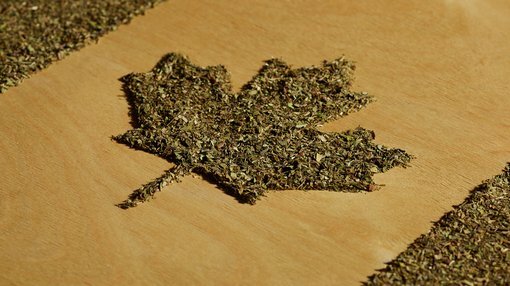 The Cannabis Act (Canada) and the corresponding Cannabis Regulations which were enacted on October 17, 2018, legalised the recreational use of cannabis nationwide in Canada. This new legislation also controls and regulates the production, distribution and sale of lawful cannabis in Canada. Amendments to the narcotic control regulations will remove references to cannabis and convert existing Dealer’s Licences to an equivalent licence pursuant to the cannabis regulations. Pursuant to the revised cannabis regulations and its dealer’s licence, Supra THC is permitted to conduct standard processing, analytical testing, research, production, sale and distribution of lawful cannabis. This will provide Roto-Gro International with complete supply chain control, strategically important in terms of optimising efficiencies and maximising margins. In addition to these permitted uses, the company will apply for an amendment to this licence to permit standard cultivation. The Cannabis Act (Canada) and the Cannabis Regulations authorise processing licence holders to alter cannabis to manufacture intermediary or finished products, and to sell cannabis to other processors. All processing licence holders are authorized to sell and distribute finished cannabis products to authorised sellers and distributors. Pursuant to the Cannabis Act (Canada) and the Cannabis Regulations, cultivation licence holders are authorised to cultivate, propagate and harvest cannabis plants, and to sell the harvested material to other licence holders. Licensed cultivators are authorized to package and label cannabis plants and seeds for sale to authorised sellers or distributors. Consequently, gaining authorisation to allow standard cultivation would be an important advantage for Roto-Gro. RGI is changing the cultivation practices for urban farming and lawful cannabis. Of the six Canadian lawful cannabis Dealer’s Licences owned by publicly listed companies, two are owned by Valens. The remaining four are owned by Canopy Growth Corp., Aurora Cannabis Inc., Nuuvera Inc. and Cannabis Wheaton Income Corp.
A number of acquisitions have been completed in this space, including Aurora purchasing Anandia Laboratories Inc. for C$115 million in June 2018, Nuuvera purchasing ARA-Avanti Rx Analytics Inc. for $43 million in February 2018 and Wheaton purchased Dosecann LD Inc. for $38 million in April 2018. Roto-Gro is an Australian-based company with global operations focused on the cultivation of lawful cannabis and perishable foods which take advantage of its licensed, proprietary, patented, and patents-pending technology in the stackable rotary hydroponic garden space. Roto-Gro holds worldwide exclusive licences for lawful medicinal and recreational cannabis markets and has agreed, subject to shareholder approval, to acquire the technology for all other purposes including pharmaceuticals, nutraceuticals and perishable foods. The company has collaborated with Gibio Inc. and Freshero, ventures that leverage RotoGro’s patented rotational hydroponic garden systems, crop management fertigation hardware and proprietary software systems to produce greater yields and lower operating costs. RotoGro’s wholly-owned subsidiary, Global Fertigation Solutions Inc. (GFS), provides a patent-pending specialized business line for water treatment and nutrient management in the viticulture, perishable foods and lawful cannabis space. GFS has successfully provided design solutions, installations and ongoing service contracts for licensed lawful cannabis facilities in the State of Nevada, USA and is embarking on expanding this offering globally.